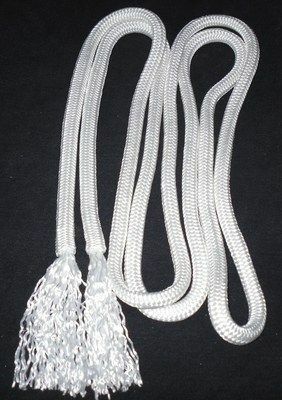 Made from 13mm polyester doublebraid yachting rope in a 12ft length. Each end is backspliced to give the desired weight and thickness at these points and features a silky tassle at each end. This rope is very strong, yet soft and smooth to handle and is completely weather resistant. It will not rot or go hard and is highly UV resistant. A superb rope for reins as it is also non-slip.